Gabriella Alonso is a fearless, energetic advocate for her clients. Even before Gabriella passed the bar and began practicing, she already had a litigation victory under her belt. 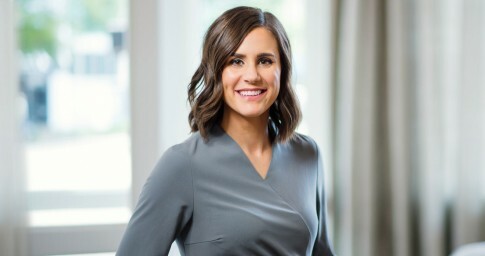 During her final year of law school, Gabriella wrote and submitted an appellate brief to the U.S. Court of Appeals for the 4th Circuit that resulted in an order in favor of her client. At Lightfoot, Gabriella puts that energetic drive to good use helping her clients secure the right solutions for their unique situations. Her broad defense litigation practice encompasses several areas, including catastrophic injury, environmental and toxic tort, medical malpractice and product liability. Building on her experience in law school, Gabriella also handles appellate work. Gabriella devotes a significant amount of time to giving back to the community. While attending law school at Washington & Lee University School of Law, she served as a mentor to more than 100 undergraduate women. She was also a student caseworker in the law school’s Black Lung Clinic assisting coal workers with possible claims. As a child, Gabriella lived in Barcelona, Spain, for five years and is fluent in Spanish. She has a passion for adventure has traveled all over the world, including various countries in Europe, Latin America, Africa, the Middle East and Asia. When she is not working or traveling, she and her dog, Friday, spend most of their time outdoors either hiking or backpacking.